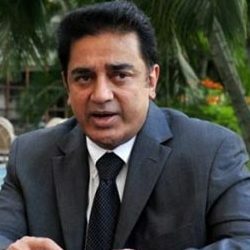 Chennai, Jan. 28 : The Madras High Court on Monday posted its order till tomorrow on veteran actor Kamal Haasan''s petition seeking a stay on the Tamil Nadu Government''s temporary ban on his film ''Vishwaroopam'' following allegations by some organisations that the movie shows Muslims in bad light. The court has asked Kamal Hassan to meet government officials and find a way out. According to certain media reports, the actor is likely to meet the government officials later in the day. The Tamil and Telugu versions of the film, which deals with the adversities of war, were scheduled to release on January 25. The Tamil Nadu Government has imposed a ban on the film following protests from Muslim groups. The latest development in this regard came after members of the Muslim organisations objected to the film on the ground that it portrays the community in bad light. They claim that the movie is anti- Muslim.